← Rose City Park Trees! The January 2017 edition of the Rose City Park Review newsletter is being delivered by your neighborhood volunteers now, but you can get a sneak peak with this digital edition here. Thank you to our editor Suzanne for another great issue of our newsletter. 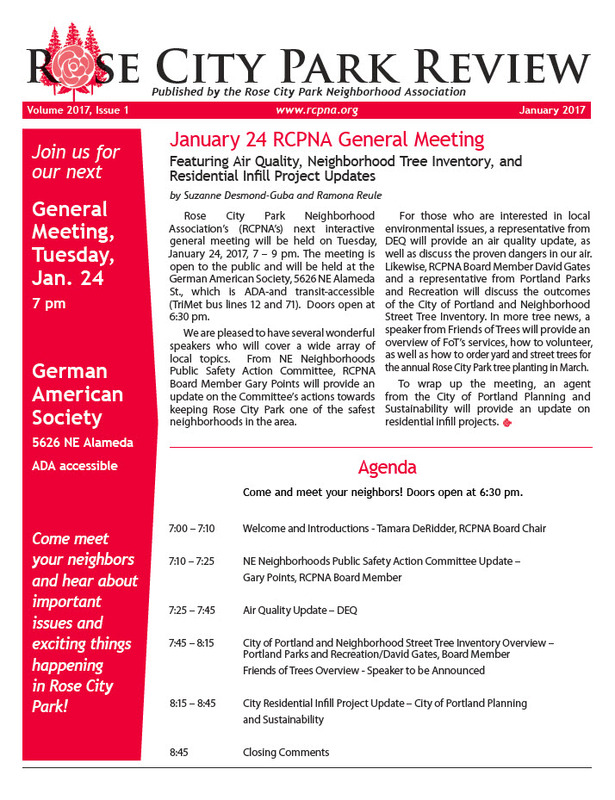 Don’t miss the agenda for the January 24th General Meeting, which is full of great topics.